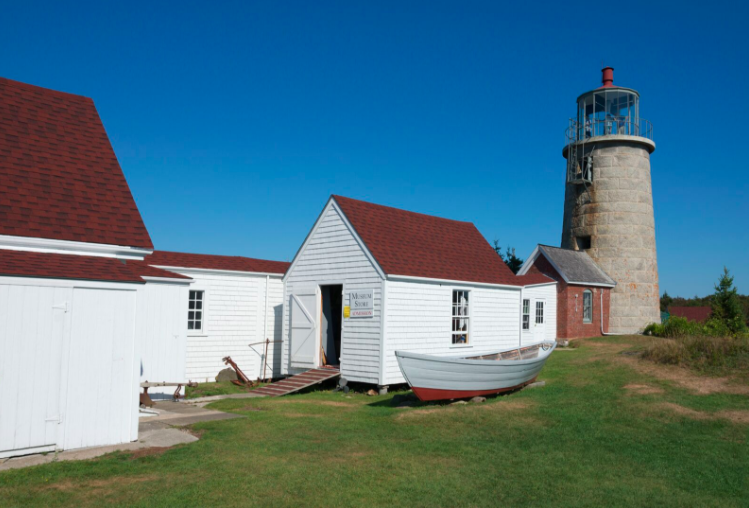 Ten miles out to sea, Monhegan is both isolated and small (about one mile wide and two miles long). 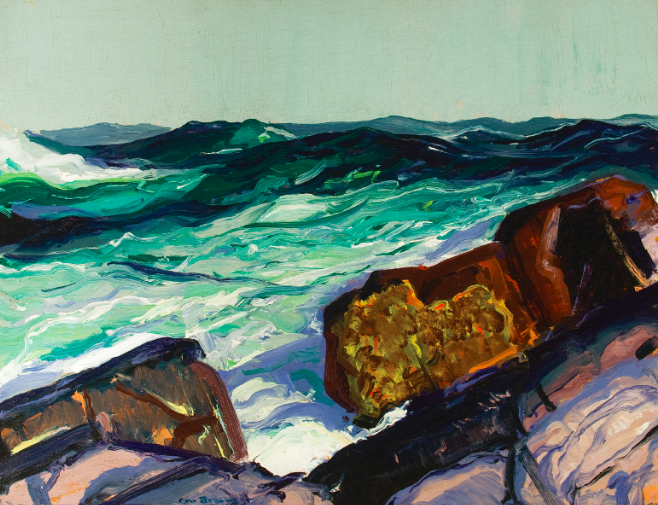 However, for over 150 years the rocky island has been a haven for artists, who are drawn by the quiet landscape and the changing light that bounces across coves, cliffs and crashing waves. 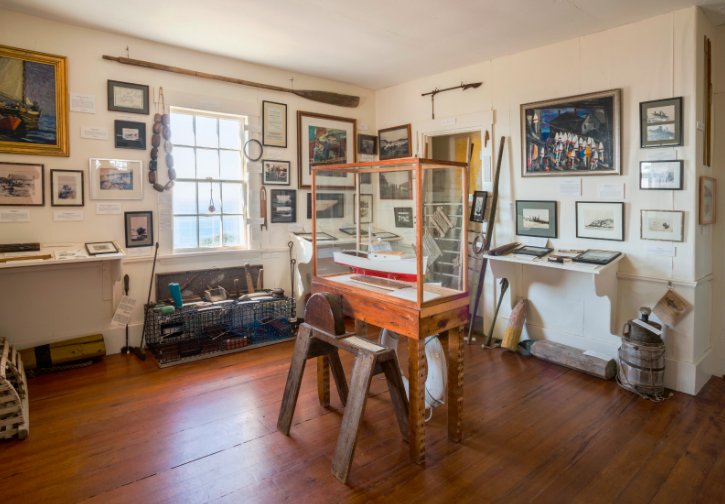 When the island’s lighthouse was vacated in 1959, islanders, including artist Jacqueline Hudson and philanthropist Elliott Bates, decided that it would be the ideal venue for a museum. 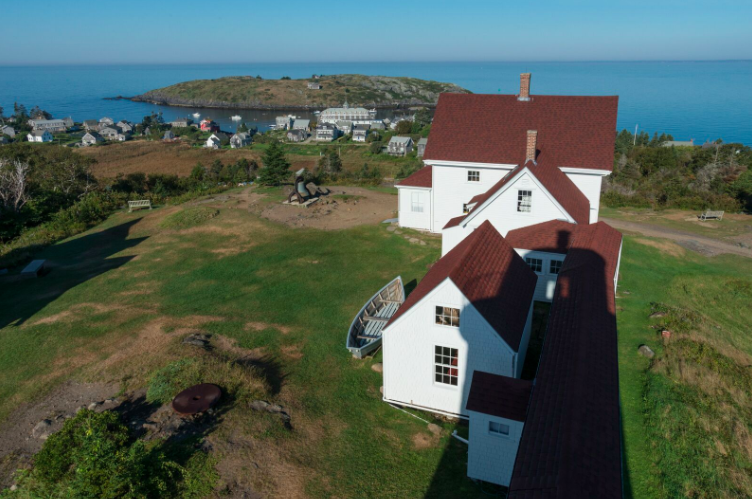 After nearly a decade in the works, the Monhegan Museum officially opened its doors in the summer of 1968 with paintings, memorabilia and documents donated by islanders and visiting artists. 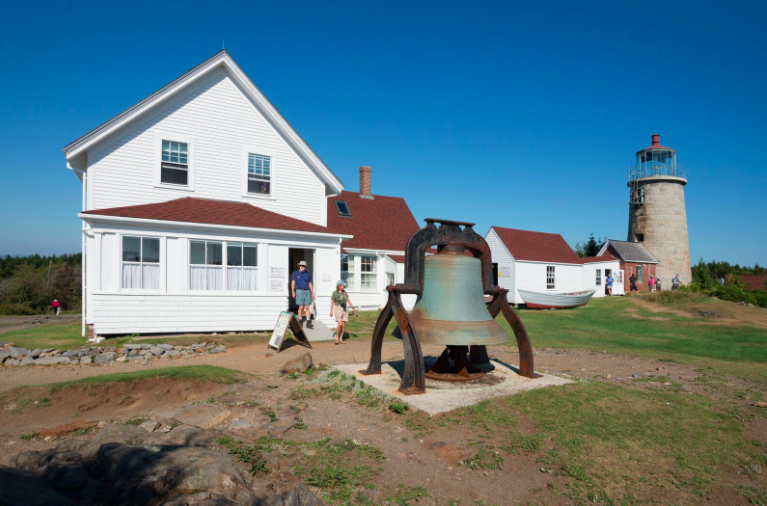 This summer, the Monhegan Museum is celebrating 50 years. 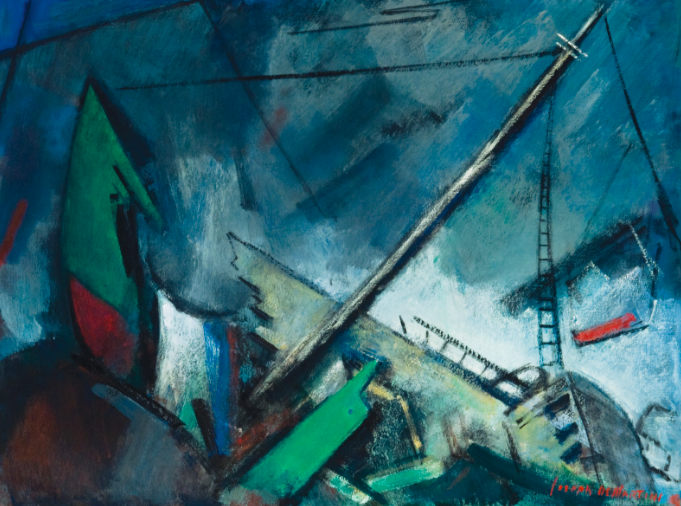 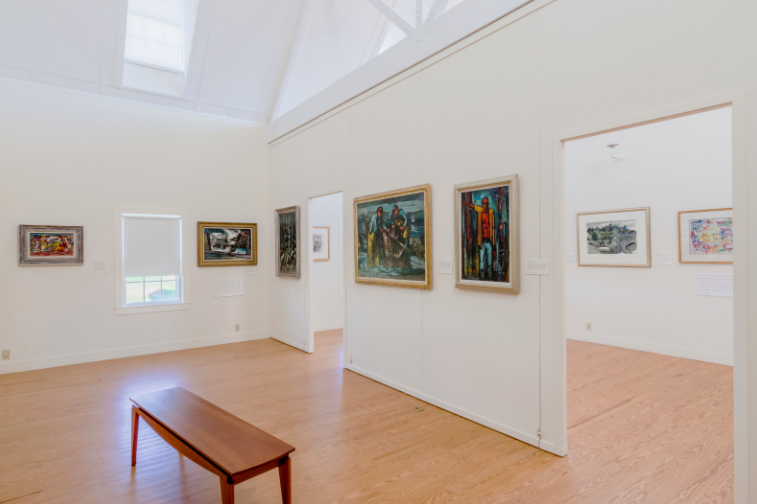 To commemorate the special occasion, an exhibition will feature works from its permanent collection, which includes work by 70 artists, including George Bellows, Robert Henri, Edward Hopper, Rockwell Kent, Louise Nevelson and Andrew Wyeth. 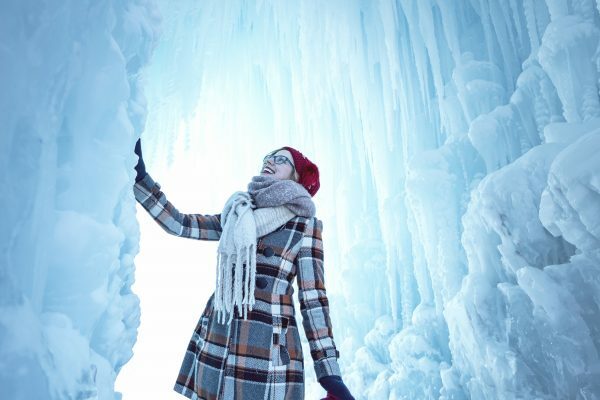 The show will run from July 1 through September 30, 2018. 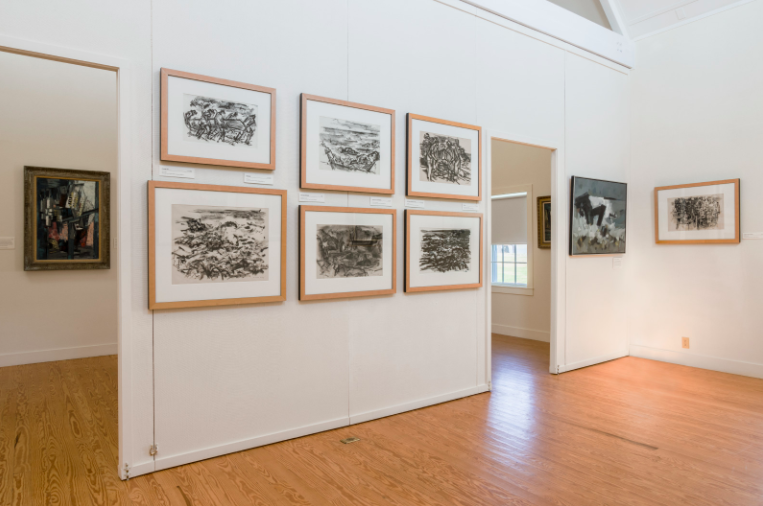 The island’s history as an art colony dates back to 1858, when artist Aaron Draper Shattuck of New Hampshire’s White Mountain School came ashore. 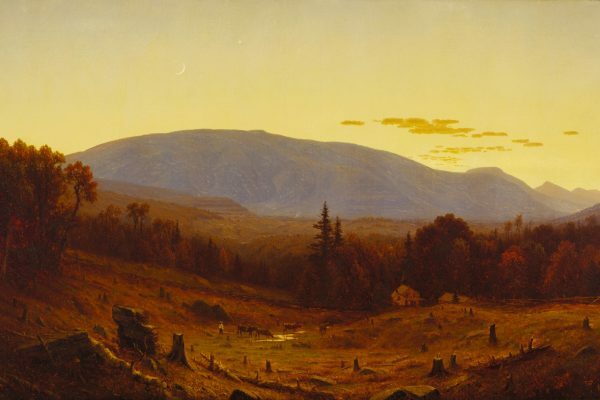 It wasn’t long before word of the island spread attracting landscape painters from the Hudson River School, such as Otis Weber and William Edward Norton. 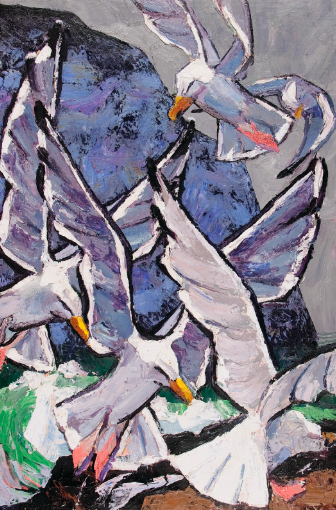 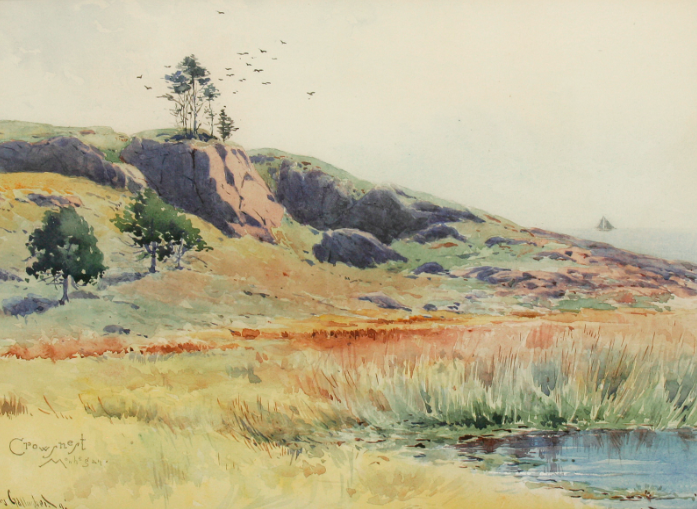 Many stayed with island residents (even today, the island has a year-round population of about 50), and when the first boarding house opened in the late 1800s, artists flocked to Monhegan in even greater numbers. 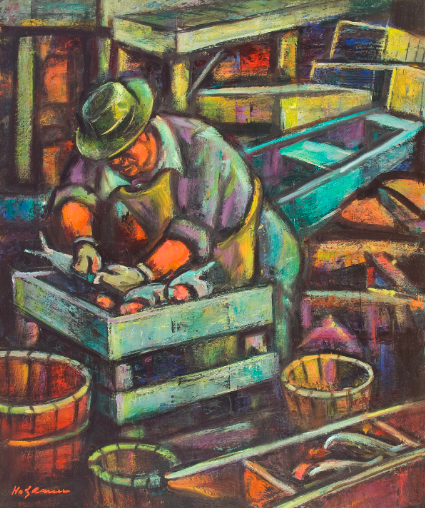 It’s been an artists’ community ever since. 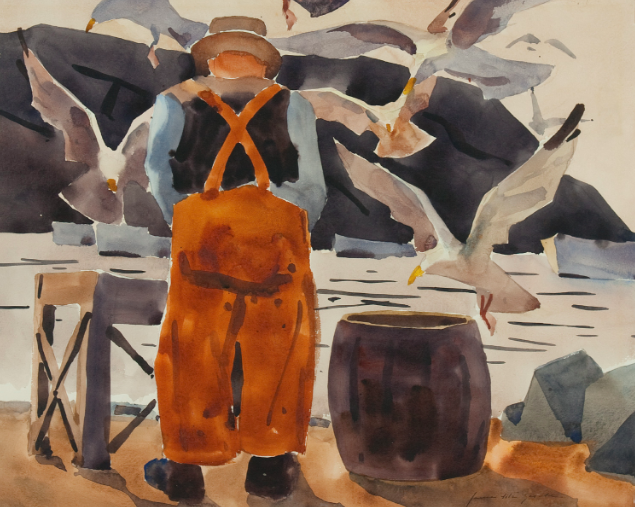 The contents of the museum’s collection are vast and varied since Monhegan has played such a pivotal role in American art. 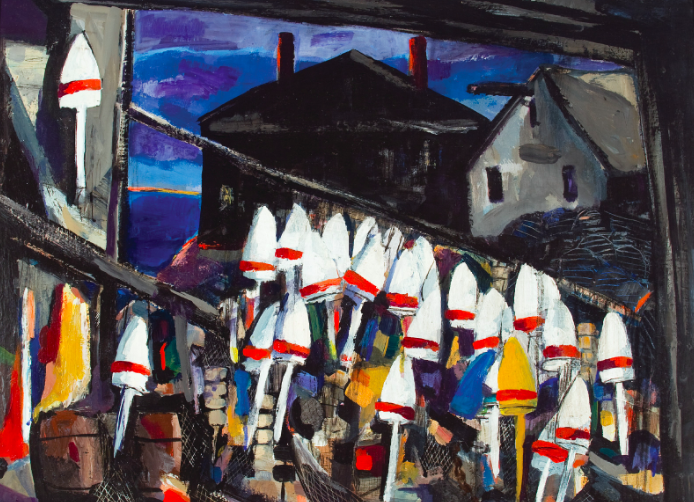 “All of the movements of American art are represented,” says Edward Deci, museum director of 35 years. 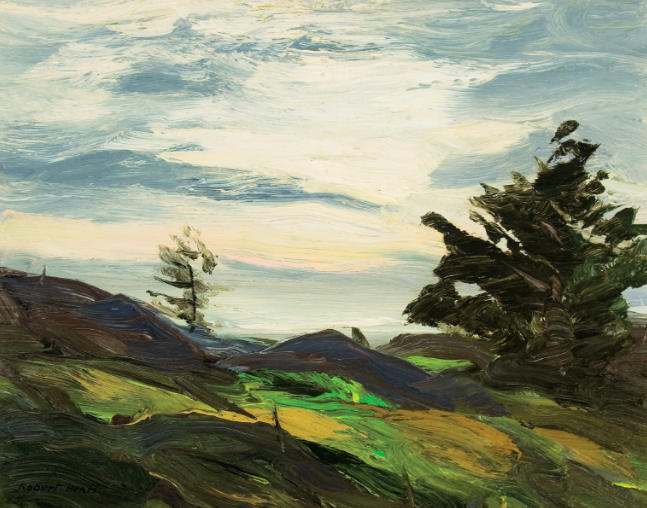 At the turn of the century, artist Robert Henri of the Ashcan School advocated a different kind of art; rather than painting a subject to render its likeness, a painting makes a statement about the subject. 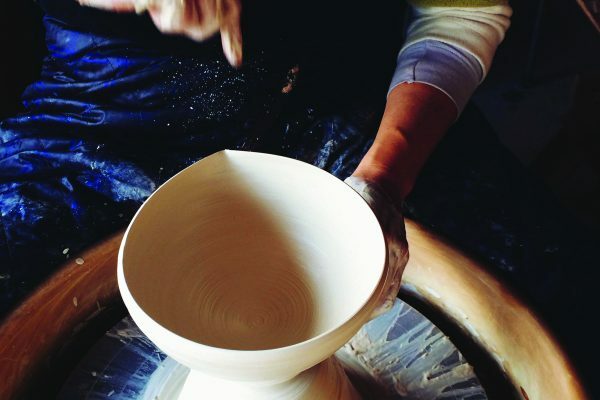 It was a major break from the European tradition. 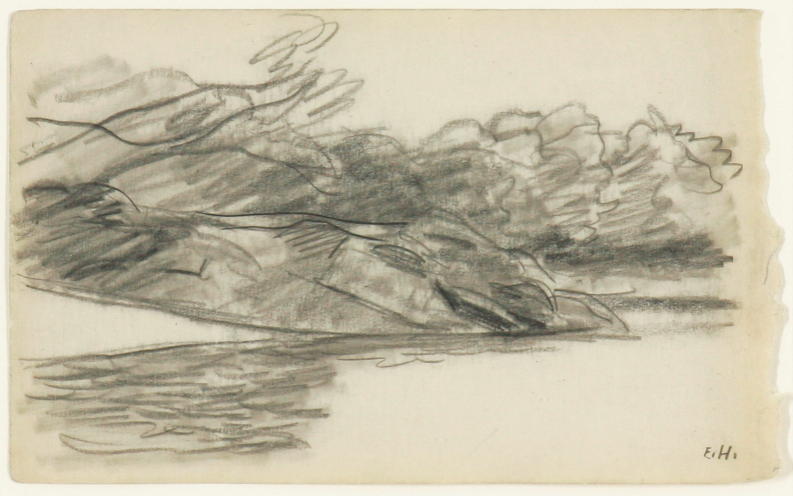 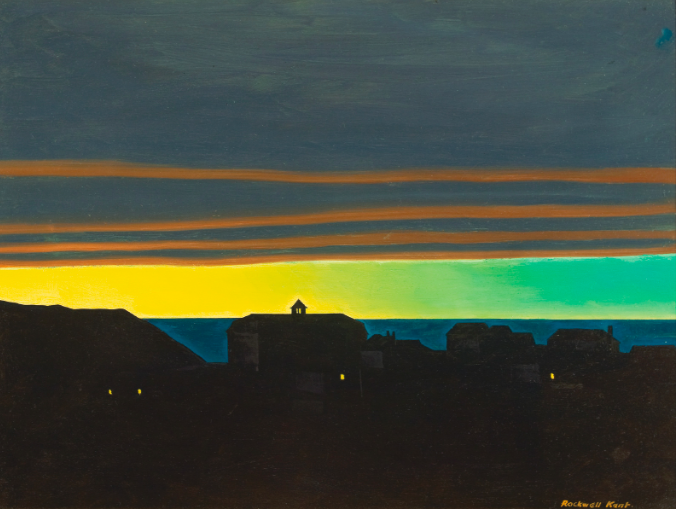 After Henri landed on Monhegan, his students, including Rockwell Kent and Edward Hopper, followed in his footsteps. 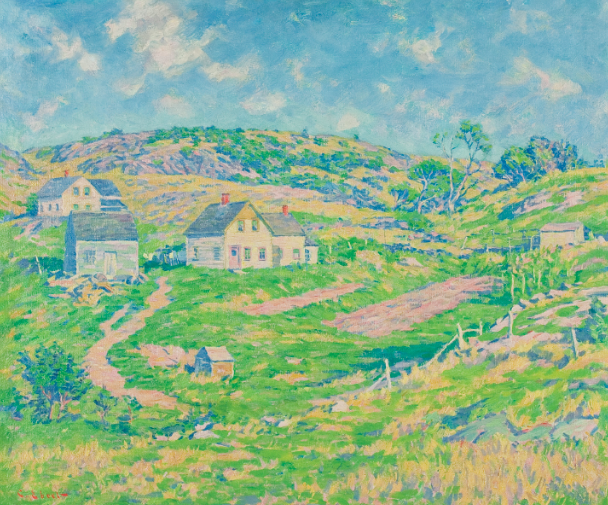 As realistic landscape painting gave way to impressionism, many American impressionists of the Old Lyme art colony in Connecticut were drawn to Monhegan, including Harry Hoffman, known for his bright colors. 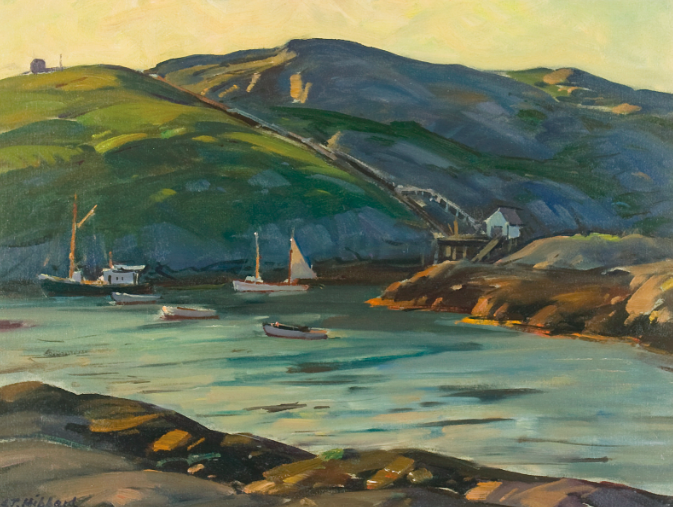 Monhegan’s history also encompasses three generations of the Wyeth family: N.C., Andrew and Jamie Wyeth. 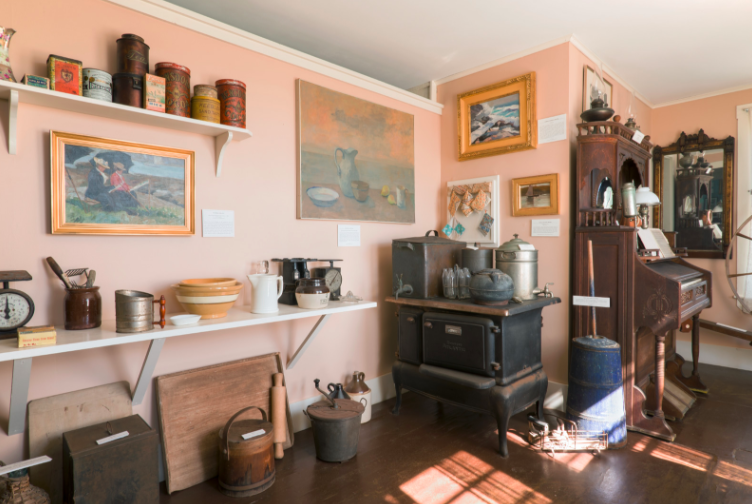 According to Deci, sculptor Louise Nevelson, one of the most famous women artists in the United States, found her inspiration while on Monhegan. 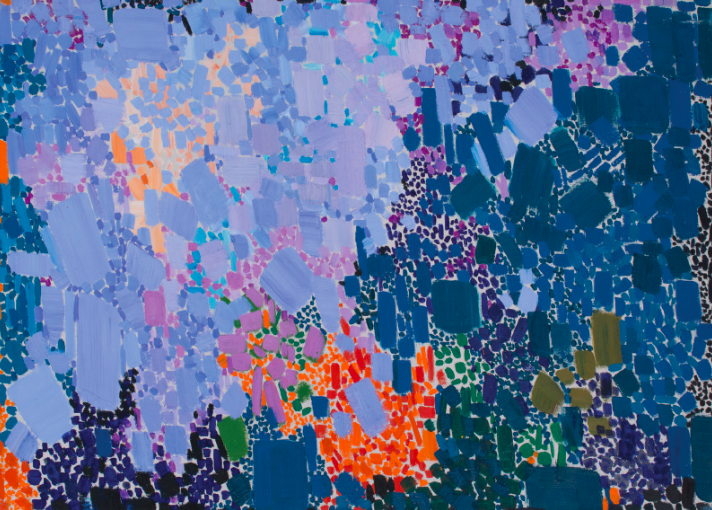 “It’s really been fascinating to see all these people come to this small island and see it interpreted in all these different ways. 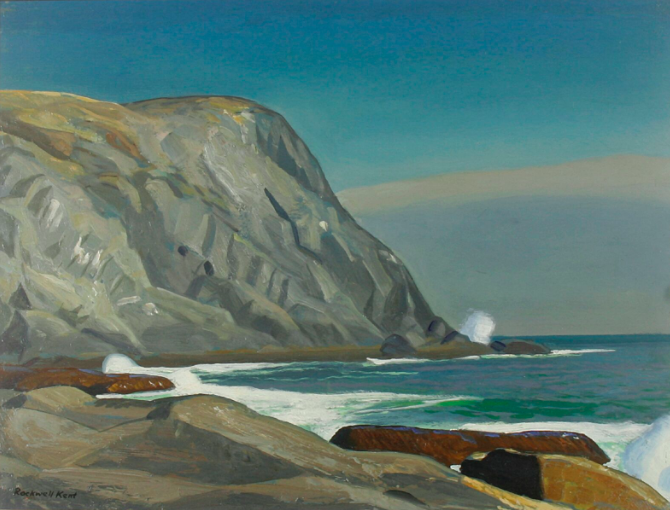 That’s what our exhibit is all about,” says Deci, who originally came to Monhegan on vacation in 1973. 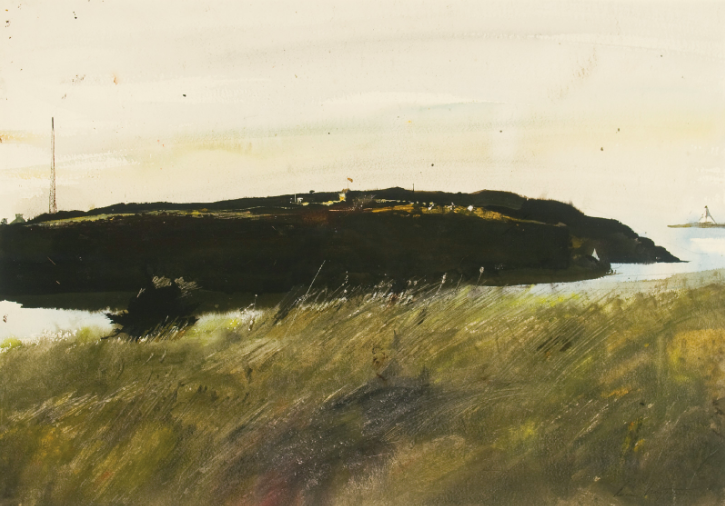 “I flipped for the place and I’ve spent every summer here since,” he says.